FITT Resources is pleased to announce the addition of James Langford to our team as Sales Manager — Dewatering Pumps (VIC & TAS). 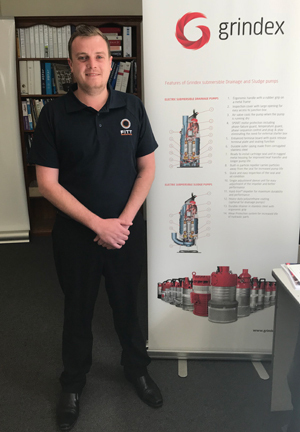 James’ primary role will be heading up the FITT Resources Dewatering Division and growing the company’s presence in Victoria and Tasmania, but he will be involved in all facets of the business and supporting our sealing device, pump, and pump servicing functions. This appointment is an integral part of our plans to offer comprehensive support for our customers in both of these states, as well as enabling us to build awareness of FITT Resources’ Products and Service range in areas where we have many exciting new opportunities. James joins FITT Resources having worked for the previous eight years in construction in a project manager role on a series of major works across Melbourne, and it is his detailed knowledge of the building and construction industries in Victoria that has led to him joining us. 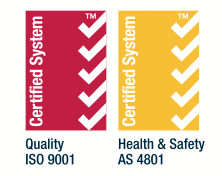 As James explained, “Because of FITT Resources’ broad and expanding range of quality products and services, I see an important part of my role as showing the industry here that there could be alternative ways of doing things, through introducing new technology or applying known existing technology in new ways. Based in Melbourne, James will bring a wealth of industry knowledge with him to his new role at FITT Resources, and he places a high value on the business relationships he has developed throughout his years in the construction industry. As a company, FITT Resources is excited about James’ appointment not only because of what he brings to the table in terms of his industry knowledge and experience, but also because it represents another important chapter in our ongoing expansion. You can get in touch with James Langford via email at j.langford@fittresources.com.au, or call us on 1300 653 229.